A long long time ago, so long ago that seatbelts in cars were kind of a new thing, I had a fifth-grade teacher named Miss Marburg, who was young and stylish. Frosted hair (that was new, too), pink lipstick. 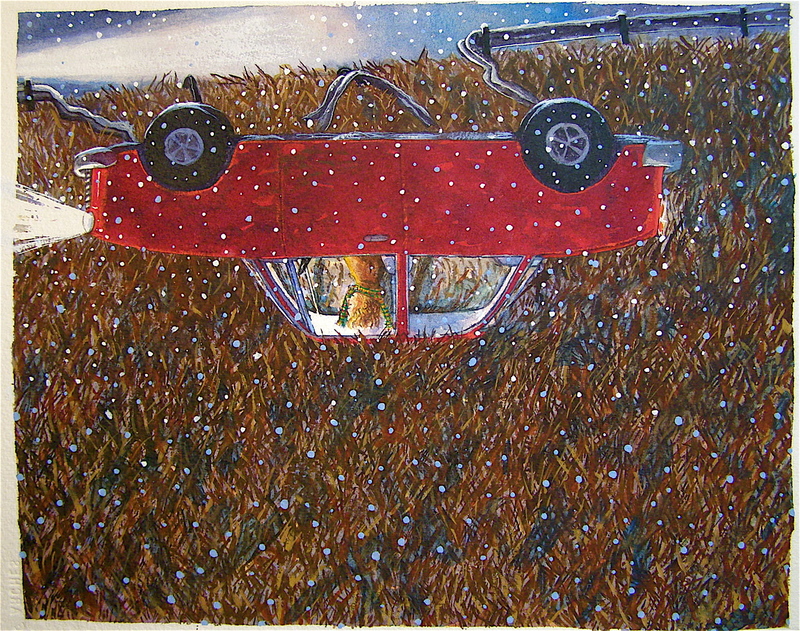 One early winter evening, she was driving home when she hit a patch of ice. “Black ice,” the kind you can’t see. Her car spun across the lanes and then right off the road, flipping upside-down. My favorites are the ones where the storytellers laugh at the situation. And, like Miss Marburg, at ourselves.